Gloss white permanent self-adhesive film with a silicon paper release liner. Ideal for stickers, signs, decals and posters. Tear resistant and can be used in worst internal or external conditions. 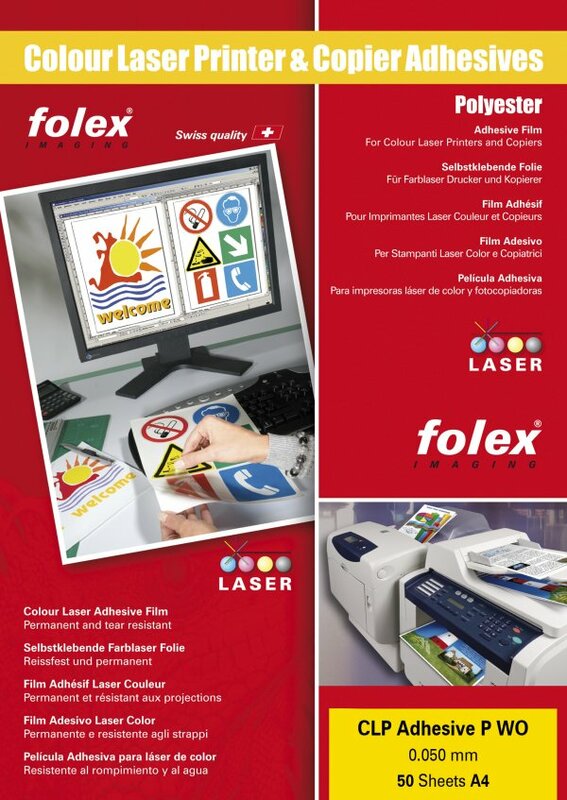 The imaged film has outstanding toner bonding, is water resistant and can be used in all weather conditions.